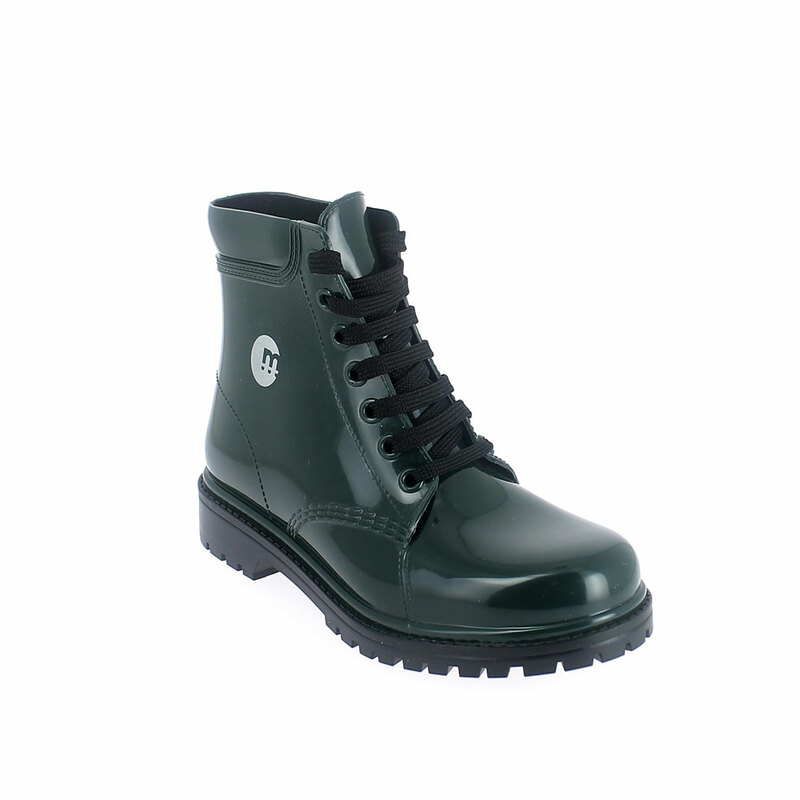 Short laced up boot in pvc with bright finish + padprinting. The bootleg is finished by a padprinting of the round shaped Maresca logo in silver colour. Made in Italy. Size run: 35-41.